When you grow marijuana plants, it has to be from a legal standpoint. It can get complicated because you have to know the laws in your state since every state law is always different. You must have the right details or you may be violating the marijuana laws. There are so many people that grow marijuana plants from their home, only to find out later that the laws do not support their actions or growing weed is harder than they thought. There are certain things that you should know in addition to the marijuana laws. Let’s take a look at this. Before you grow marijuana plants at home, you should determine your grow space, your desired harvest and what kind of budget you want to work with. This is as straightforward as possible and yet there are so many individuals that mess up. You can use a spare closet in your home or a backyard garden to grow your weed to quality marijuana buds at harvest. If you are growing weed outdoors, then sunlight would the kind of light used. If you are growing indoors, then you have to get the best grow lights. Lighting is essential to growing the best quality marijuana buds. You should also decide whether you are going to use soil or not. The space must be well ventilated. For outdoors, a light breeze is OK. The temperature is also significant to growing marijuana plants at home. If the temperature makes you hot, then it is also the same for your plants. The same is true if it is too cold. Pre-formulated nutrients are best where you add to the water you use for your plants. Whether you are growing weed indoors or outdoors, it is important to get all of these essential resources. If you were to plant a marijuana seed right now, you could probably be enjoying a harvest in eight and a half weeks. If you planted the weed inside, the harvest period would be shorter. Why? Well, you have more control over the outcome. 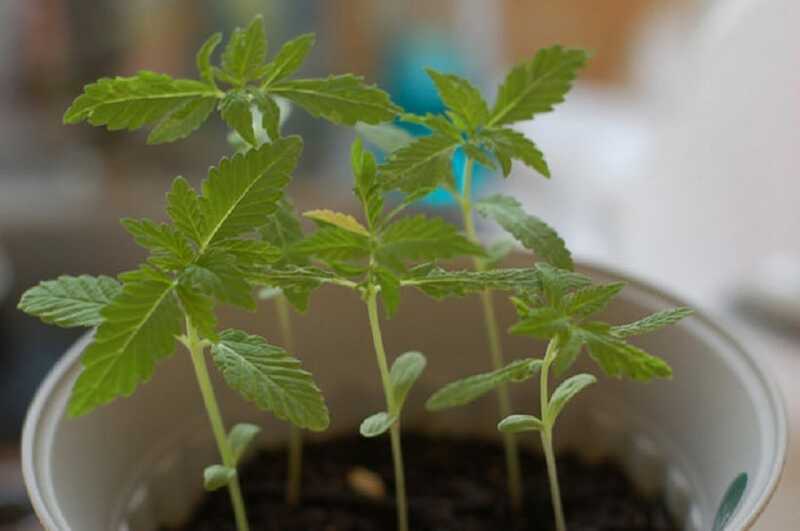 You get to choose when the budding phase begins for your marijuana plant. If you are using auto flowering grows, the time period for the harvest will also be shorter. However, bear in mind that when the grow period is shorter, the harvest will be smaller. In addition, specific marijuana strains could take as much as seven months to enjoy a harvest. The average grow period is generally four months, if you want a huge harvest. Many newbies make the mistake of experimenting before knowledge of what to exactly do and then kill their marijuana plants. It is best to know the step by step guide of how to grow marijuana plants at home. Conduct research if you have to, but it is always to your advantage to get cannabis training, if it is possible and the Cannabis Training University offers a comprehensive online program that you can complete. This gives you all the knowledge you need to get the best outcome. To summarize, decide where in the home you will be planting your weed, whether a closet, spare room, unused bathroom, basement or garage. Get the right lighting, whether compact fluorescent bulbs, LED grow lights or High Pressure Sodium lighting. To learn more about how to legally grow marijuana plants, visit the Cannabis Training University website now.